Gig Buddies Franchise; Gig Buddies in a Box is go! 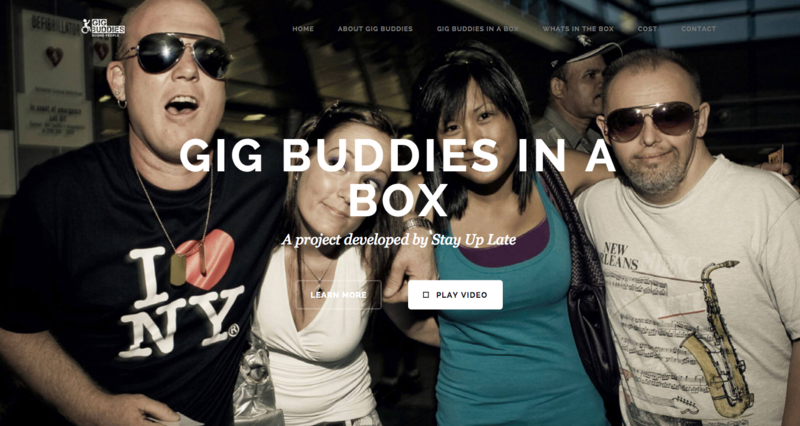 Here’s some very exciting news – we’ve just launched our new website for ‘Gig Buddies in a Box’, which means Gig Buddies in a Box is go!! This is our project to share our work with organisations in other areas and as well as all the materials and resources we’ve developed by creating a Gig Buddies franchise. We’ll also provide training and support and the opportunity to become part of a Community – changing society and ending social isolation through gigs. The website explains everything that we’re offering and how it will work. There is also a ‘members only’ area, for participating organisations, to enable us to share/download our resources and develop our work together. In particular you’ll be able to find out ‘what’s in the box’ and how we can support you to set up your own version of Gig Buddies in your locality. You’ll also be able to find out what materials and resources we’ll be sharing with you and the extra support and training that we can provide. Importantly we’ll be able to connect you with the wider Gig Buddies community of other organisations sharing in our work, and all learning from each other as we develop our work together. Training resources and session plans. The Gig Buddies branding – colour coded for your own locality. Access to your own local version of the Gig Buddies website. Draft funding budgets to aid writing applications. An annual Gig Buddies conference for all partners to meet-up, share experiences with participants and learn from each other. Additionally we can provide support scoping out potential funding sources and support you with writing your applications. (This is a separate offer that we can assist you with and will agree specific additional charges as appropriate). Ongoing support (we can provide additional consultancy if required and costs for this can be discussed). Here’s a great tune to listen to while you browse the new website.